Stay happy with Sony’s MDR-AS600BT In-Ear Bluetooth Headphones. The perfect partner training headphone. This feature-packed headphone has Arc supports. It’s athletically designed to keep them in place and slip-free while you go running. The headphone offers advanced wireless technology for one-touch listening via Bluetooth or NFC (Near Field Communication). This sporty headphone is ergonomically designed to remain in place, no matter how vigorous your workout is. The arch supports well, and they’ve beautifully crafted the ear buds for the extreme and rigid exercise. This headphone is lightweight and not bulky, so rest assured that it’s comfy to use. The MDR-AS600BT comes in different stylish colors to best suit your style. The black color is the most favored for it’s classy and very executive looking. It has a perfect balance of the bass and treble. The headphone audio quality is superb. It has a perfect balance of the bass and treble. You can lose yourself in energetic beats every time you work out. The built-in neodymium drivers make a transparent precision of sound. You experience clear music that gets your heart go pumping. 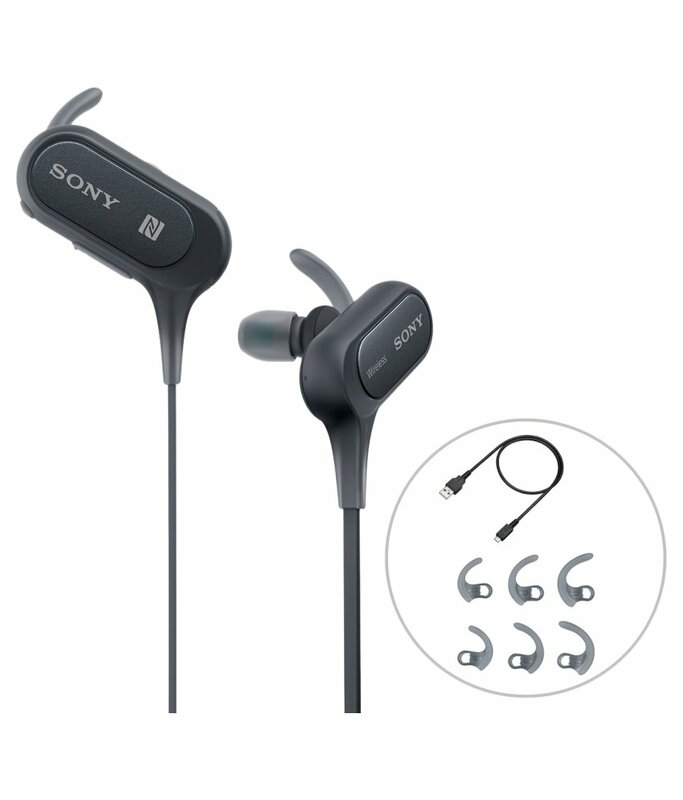 No more dull moments with the Sony MDR-AS600BT in-ear Bluetooth headphones! the MDR-AS600BT offers two secure and comfortable wearing options. Guaranteed that earbuds stay in place no matter how rigid you work out. However, you can go wired, like in airplanes where wireless connections are prohibited. The headphone allows you to pair up with any compatible smartphone or tablet. This headphone has full range coverage, and high signal connection to avoid disconnection. Pairing is easy with its NFC which is profound and stable. 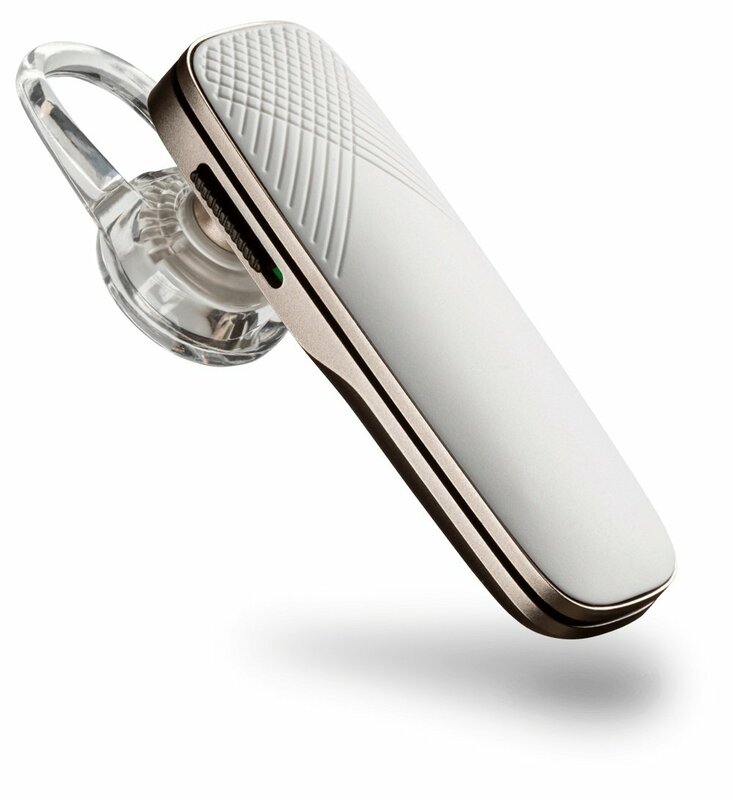 The Bluetooth and NFC connectivity let you enjoy an excellent wireless listening experience while on the go. This headphone has 2 Lithium ion batteries ready to go. You can power up using a micro USB port. Keep going with its extended battery life of up to 8.5 hours. You can charge it quickly for around two hours. The headphone ensures longer workouts so you can go extreme with this headphone. The earphones have good sound isolation. Very comfortable and doesn’t fall during intense workouts. The price is right for its quality. As a businessman, it’s a part of your life to travel often. It’ll be a crazy schedule and sometimes the travel time is your only way to relax. But that would be impossible if you’re surrounded with people on the plane. As a business traveler, what you’d need are comfortable earphones that can provide you with a good audio quality of your favorite tracks. 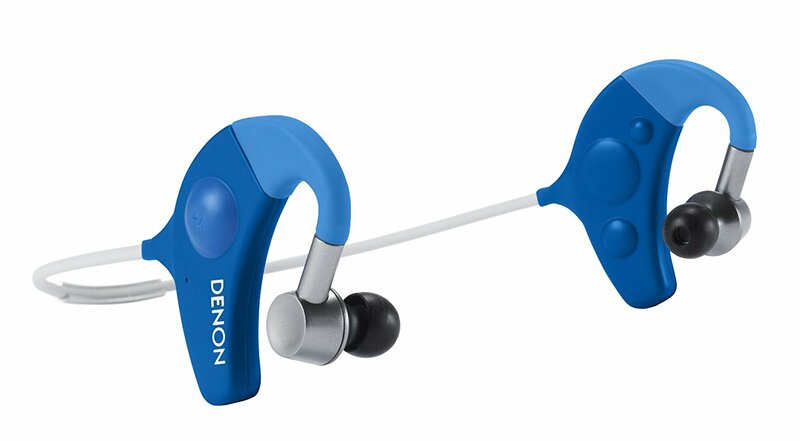 Take a look at Denon’s AH-W200 Globe Cruiser In-Ear Wireless Headphones. It’s a headphone designed for business travelers and non-business travelers. Unlike other travel headphones that only focused on features and performance, the AH-W200 Globe Cruiser headphones also focus on its fit. It’s sure to sit still on your ears without pain with its comfortable and secure fit. It paid attention to even the tiniest details to provide you with comfort even at work. Connected by a flexible short cable, these headphones stays behind your neck. The AH-W200 Globe Cruiser headphones will keep the cable from hanging while you rest your head on the plane. 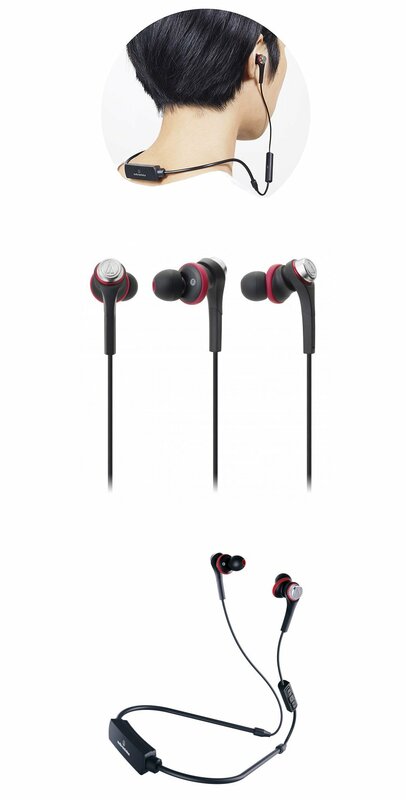 Dedicated to giving you enough comfort, it has integrated controls and microphone in the headphone. The right earpiece has the play/pause button that also functions as a Bluetooth pairing button. On the side of the left earpiece are the volume control buttons. Placed as well on the right earpiece are the charging and 3.5mm ports. The invisible microphone is there too. The left ear piece has a button that manages the call. It can provide you with a good audio quality of your favorite tracks. Great quality music can save a stressful day. That’s why the AH-W200 Globe Cruiser boasts of giving digital sound quality with its built-in amplifier and aptX and AAC codecs to save you from stress. Rest assured, you’ll be satisfied with its audio quality even on Bluetooth. The ear tips could fit in your ear canal (they included several ear tips in the box), it can isolate the noise from the environment. For a wireless setup, this headphone has a Bluetooth 3.0 technology. You can make use of it to pair with your smartphones and other Bluetooth devices. So you can go from one place to another without being annoyed with wires all over. For a wired setup, use the detachable audio cable included in the package. It’s a good option at times when you can’t use Bluetooth. The AH-W200 Globe Cruiser features a rechargeable battery. It can fuel your music soul for 5 hours on one full charge. Used up the battery? Recharge it using the charging cable included in the box. Once it’s full, you’re free to use it again. To ensure you find the perfect fit of ear tips, Denon has included silicone ear tips (S/M/L, 3 pairs) and a Comply foam ear tips (1 pair). The Comply foam ear tips can adjust to your ear size to provide a perfect fit. To further boost your aural experience, you can choose to download Denon’s Travel App available for Android and iOS devices. It offers you with additional equalization settings. It’s perfect for traveling use as it can effectively isolate noise while I take trips and even walks. I use it everywhere and not just for travel purposes. The extra ear tips are very innovative. No one misses a beat with Amkette’s Trubeats IGO Wireless Headphones. It’s a wireless headphone committed to giving you the best audio performance minus the wires. It has a Bluetooth connection, a good battery life, and a durable build. It keeps you on the move while listening to your favorite music. The Amkette Trubeats IGO comes in black and blue colors. Accompanying its stylish flair is an ultra-portable design. It’s lightweight, so it doesn’t feel heavy on your ears, and it’s foldable! You can fold and fit it in the all-weather carrying case (included) for safe-keeping. You’re free from worries that might get chunked in your bag. It also protects your headphone from dirt and dust. It’s lightweight, so it doesn’t feel heavy on your ears, and it’s foldable! The wire that connects the two ear cups comes with exceptional cable stability rings. It keeps the cable from getting in your way. Also, It gives you extra comfort and convenience while using it. 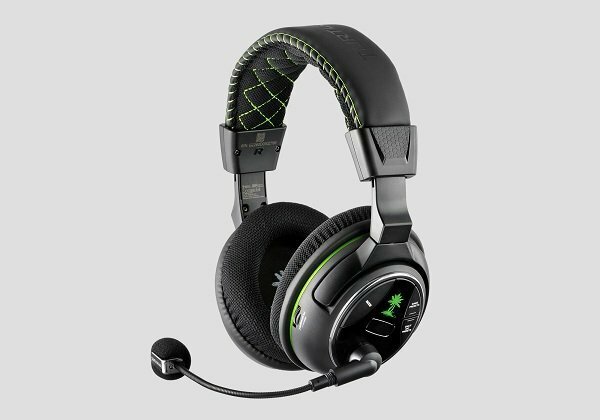 For the control buttons, you can easily reach them on the right ear cup. It has a multifunctional button on the center that controls the calls, power, and playing or pausing tracks. Dedicated for volume adjustments are two buttons. Amkette integrated a microphone in this headphone. So that answering calls from your smartphone aren’t so difficult. Experience audio heights with the Amkette Trubeats IGO’s excellent sound quality. The bass range is impressive. You can enjoy upbeat music. With a 32 Ohm sensitivity and 115dB, it’s best used with smartphones and mp3 players. The range of pitches it produces is well balanced with a 20 Hz – 20 kHz frequency response. You can hop from one genre to another with this headphone. Toss those pesky wires and enjoy music completely wireless with the Amkette Trubeats IGO. Featuring a Bluetooth 4.1 version, you can pair your Bluetooth-enabled devices in a snap. You can even pair it up to two devices at the same time with its multi-pairing feature. Maximum wireless distance is up to 10 meters. The Amkette Trubeats IGO’s rechargeable battery provides you with 8 hours of music time and 10 hours of talk time. Listen to music the entire day without having to recharge it from time to time. Recharge it for at least 3 hours if you’ve used all of its battery. The box includes a charging cable. 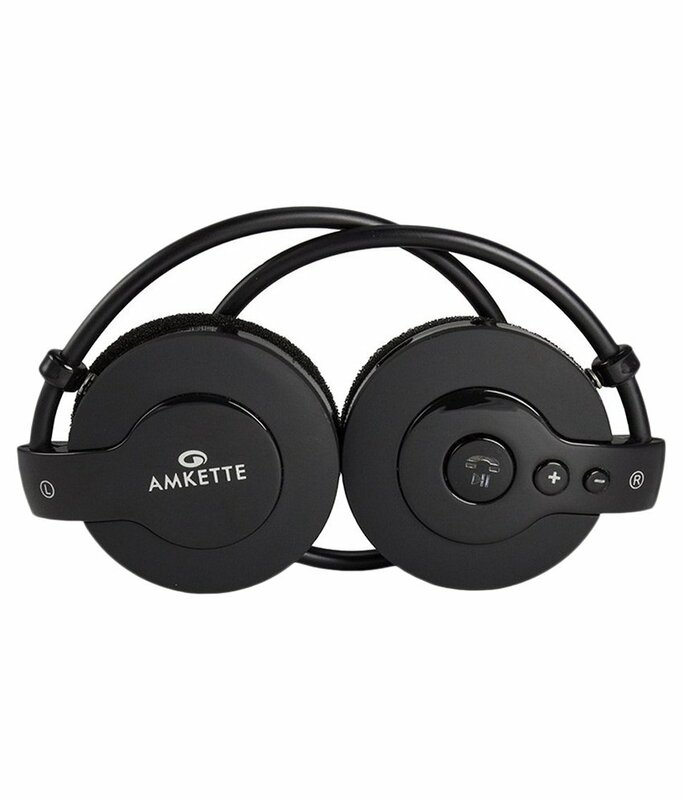 This headphone from Amkette provides me with comfort while listening to good sound quality. They advertised 8 hours, and it’s true. I get 8 hours or even more when I use it with an average volume. They’ve made this wireless headphone for people who love listening to music while doing heavy workouts. It only weighs 23 grams, which makes it easy to wear on ear and neck. The headphone has a fitness app, just like other wireless headphones dedicated to sports. The fitness app has been designed to track your overall fitness. It tracks your running, your pace, your calorie consumption, and everything that pertains to your progress. The only thing lacking with the app is the heart rate sensor. They’ve designed the Denon AH-W150 wireless headphone to be completely wireless. The headphone has controls that are integrated into it. Also, they created it to be sweat-resistant. This is perfect for rigorous exercise. They’ve designed the headphones in different bright colors. And they’re very light on your ears. They sit comfortably on the ears even on prolonged use. The headphones also have ear tips and ear clips to stay the headphones in place when doing the exercise. You can multi-task with the play/ skip/ pause button that they’ve installed. The buttons are big enough that you can easily navigate. It tracks your running, your pace, your calorie consumption, and everything that pertains to your progress. The sound quality of a wireless headphone is important, especially when listening to music. We’ve found out that the Denon AH-W150 is amazing when it comes to sound quality. 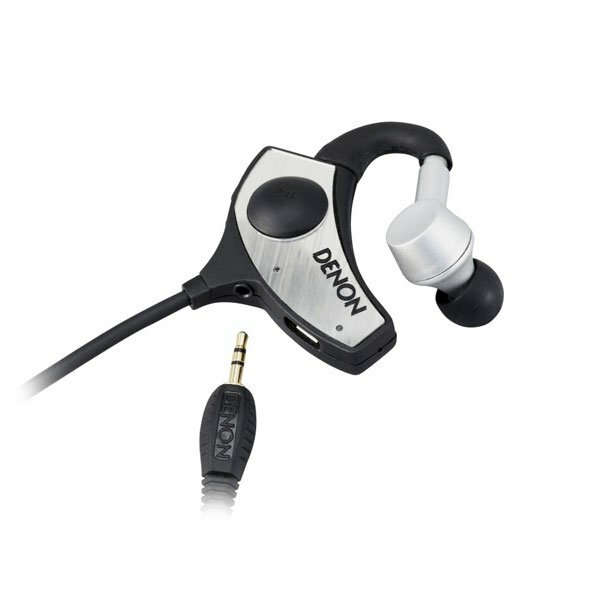 Denon has created a wireless headphone that’ll surely provide you with great music. This headphone is rich in bass, but it doesn’t get muddy. The bass goes well with the highs and the mids. When volume gets turned up to the highest level, the music won’t get pierced. You can still enjoy the music without issues. The vocals in this wireless headphone and the instruments are produced in a balanced way with great details and clarity. This wireless headphone comes with a year warranty. The one year warranty is the standard of the industry. You can easily get in contact with their customer support by email, phone, and live chat, in case you have questions and concerns. What I liked about this wireless headphones is that the company took the time to consider the different sizes of the users. Plus, the sound quality is excellent. I appreciated it. I know some people will enjoy it too. The two different cables are almost the same. There’s little difference in the sound. The high-end braided cable only has a slight improvement in the sound. If you don’t listen enough, you won’t be able to distinguish it. The high-end cable has a remote that has signal noise when you use them. The cable doesn’t run down from the ear buds, but they run down from the top. Even if someone or something pulls them, they still stay on your head. For a snug and slip-free fit, the NuForce HEM6 has two types of ear tips, the silicone and comply tips. They also come in different sizes. The memory foam ear tips or Comply tips that you can shape to fit your ear canal perfectly. Also, memory foam adds noise isolation and creates an incredible bass response. The NuForce HEM6 has three drivers in each of its ear buds. Each driver has a focus. One for bass response, one for mids, and the last one is for the highs. But due to its design, the ear buds are larger than most in-ear wireless headphones. Extra ear buds or ear tips have been standard to the wireless headphones packaging, and the NuForce HEM6 also has them. They’ve included three different sizes of silicon ear buds. There are also two sizes of the memory foam, which are useful for blocking out background noise. Also, there are two detachable cables, and thanks to that. The high-end braided cable only has a slight improvement in the sound. The lows are well-extended on the NuForce HEM6. Its bass is solid and has details, which ensure you that bass-driven songs are good with these. It’s tighter and finer. The mids are clear with a slightly muted treble. Its mids are smooth and warm like the bass. The highs are a little minimized, but detailed. And the texture of the vocals isn’t entirely present. Inside the box, you can find the silicone ear buds that come in three different sizes. Also, you can find the two earphone cables: the earphone cable with microphone and the 3.5mm to 6.3mm connector. They also included a carrying pouch and a cleaning tool. A safety guide is also inside the box. The quality of the sound on these wireless headphones is truly phenomenal. Also, it’s comfortable as an in-ear wireless headphone. With the QuietControl 30, the lightweight neckband style is the defining feature of its design. Some may seem that the neckband is dark, but honestly, they’re better than most wireless headphones. With the headphone sitting around your neck, it gives the comfort you need if you’re planning to wear it all day. They’ve made these wireless headphones of soft materials which make it the perfect headphones for listening to music all day. It’s very lightweight that you can even forget that you’re wearing them. They’ve included five buttons on the in-line remote which are for controlling the volume, playing, pausing and skipping music. You may have difficulties using them at first. But due to the differences in their shape, you’d easily learn how to differentiate. Plus the Bluetooth connection makes you worry-free against tangling wires and movement restriction. It gives the comfort you need if you’re planning to wear it all day. The volume-optimization EQ feature gives you a consistent and balanced sound, which are evident at any volume. Its bass and mids on these wireless headphones are solid and punchy. Though the highs aren’t as impressive, listening to music is still quite a ride on these headphones. You can’t control how much noise of your environment can make, and that’s a problem when listening to music. With the QuietControl 30 earphone, you can now control the noise of your environment. Controlling how much of the outside world you’d want to get inside your ears is the tip of your fingertips. You can lower the level of noise cancellation, or you can totally cancel it out. You can also get the most out of your wireless headphones with the free app that comes with it. The app helps you connect and switch between different devices easier. Plus, they included helpful tips and settings that you can personalize giving you the opportunity to give your wireless headphones its identity. The wireless headphone’s well-built design makes it very comfortable to wear. It also has a noise-canceling feature, which is good when you’re using them in public. You can use them while going to the gym or doing some strenuous activities since it’s sweat- resistant. The EM-FE053-SB or the House of Marley Voyage BT headphones are released together as two wireless speakers of the House of Marley. The EM-FE053-SB is designed to be sweat-proof. It can be used as sports headphones. This headphone has an 8mm dynamic driver and Bluetooth version 4.0. It’ll give you 6 hours of playtime, enough to finish your workout routine. The design offers passive noise isolation. 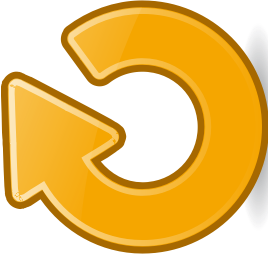 Also, the loop is flexible. It assures you of a stable and secure fit on the ears. They also included inside the box two sizes of loop fittings and three sizes of ear gels. 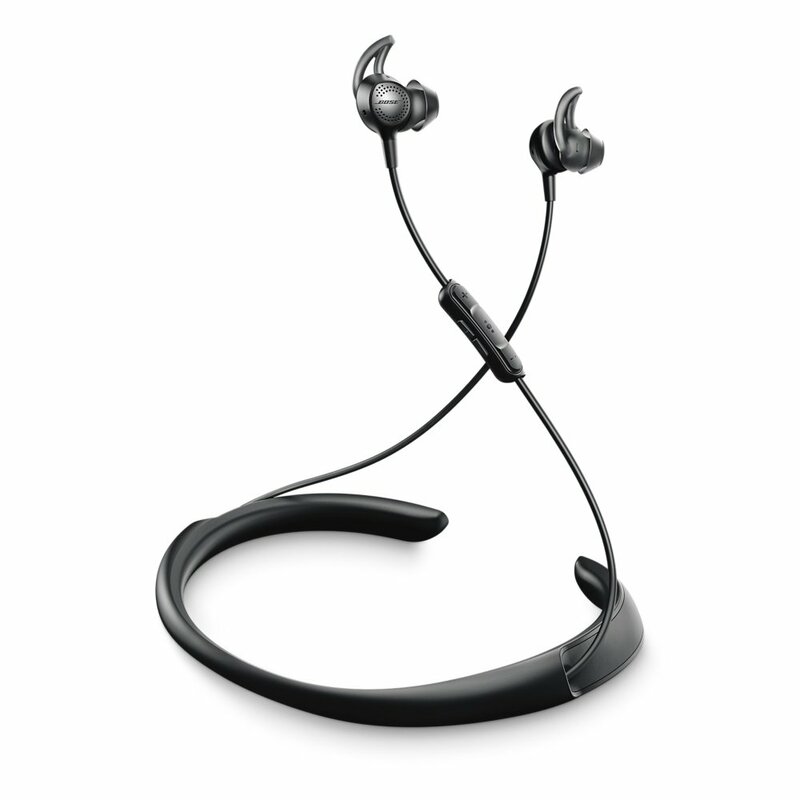 The extra loop fittings and ear gels give you the fit of your choice. Its cable is tangle resistant and durable. For the price they offer, it’s highly appreciable that they included a stash bag. House of Marley prides itself on making products that are eco-friendly. 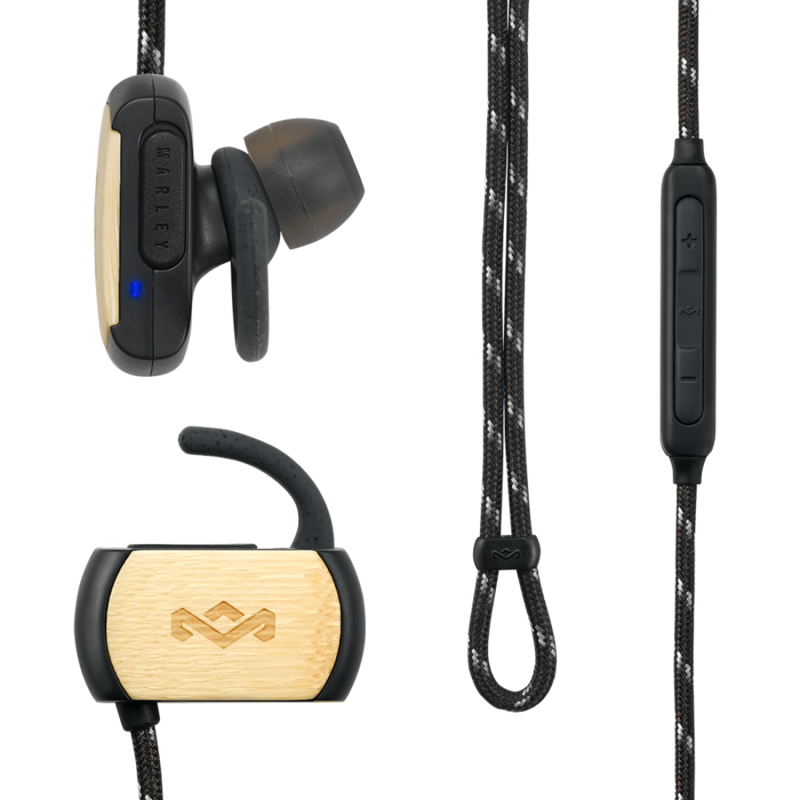 They made the EM-FE053-SB or House of Marley Voyage BT headphones of biomass and eco-plastic materials. The design fits exactly its price, and the materials don’t have the feeling of luxury. If you’re someone who wants to help our eco-system and listen to great music, then these are the pair for you. Its bass is a pleasure to the listeners’ ears. The ear tips feel soft to touch, and they’re comfortable to wear. They also fit right on the ears. Even though they look large, they block out the background noise. The ear tips have a passive noise cancellation feature. This lets you enjoy your music without interference. The ear tips of the EM-FE053-SB or House of Marley Voyage BT headphones are made up of REGRIND™silicone and are soft to touch. They’re made up of highly recyclable aluminum trims and bio-based elastomer cable. Almost everything in these wireless headphones, including the stash bag and the packaging, are recyclable. The House of Marley Voyage BT headphones or more commonly known as EM-FE053-SB has a solid sound. The highs and lows are both robust and vigorous. Its bass is a pleasure to the listeners’ ears. To any average listener and audiophile, they’ll surely be satisfied. These headphones will provide you high-quality audio and music. The design and sound of these wireless headphones are great. It’s warm. It has good bass, crisp mids, and sweet highs, making listening to music enjoyable. I just think that this product is simply amazing. Even though I’ve been using it for weeks now, it still sounds good. The Sony MDR-EX750BT gives you the all-in-one package you need in a wireless headphone. Its design is cool, suitable, and comfy. You’ll be startled with the viability and audio quality of the MDR-EX750BT. Its features include an NFC One-Touch technology, a high-resolution audio, and neck support. It transmits data 3 times greater than any regular Bluetooth. A unique, sophisticated design which has a hip and intense colors for you to choose from. It makes you look hip and in with the latest style. This headphone perfectly fits around your neck. This headphone is easy to listen. It doesn’t sound grating even if you pump up the volume. Its bass quality is a bit deep and soft. It gives you a great listening experience just the way you want it. Take delight on your wireless experience in listening to audio because of LDAC. It transmits data 3 times greater than any regular Bluetooth. Since it has an NFC One-touch feature, you can just easily access your music by pressing the play button. Don’t worry if your device can’t support NFC. You can connect using Bluetooth instead. It comes with a micro-USB cable (charging, 50cm), hybrid silicone rubber earbuds (5 pairs, 2 x large), dedicated headphone cable (1m), carrying pouch, shirt clip, warranty card, operating instructions, and reference guide. I like the sound of its bass. It sounds deep and punchy. One of the good things is it holds tightly to your ears, so it doesn’t fall off. I like the sleek and sporty style of these wireless headphone since I spend a lot of time in the gym. This headphone can connect it to multiple devices at the same time. The battery life of the Plantronics Voyager Legend UC is 7 hours for talk time or playback time. It can last up to11 days on standby mode. Its battery’s talk time or playback time is shorter than most of its competitors. Most wireless headphones have an average of 10 hours of talk time or playback time. There are two ways to recharge the Plantronics Voyager Legend UC. You can charge it through the magnetic desk charging base. Another way is to charge it through the charging case. This method can be utilized by using the USB converter. The headphone will get fully charged after 90 minutes of charging. It’s grateful when manufacturers include a carrying case for their wireless headphones. Most of these carrying cases are solely made for storage. However, the Plantronics Voyager Legend UC’s carrying case is different. This wireless headphone comes with a carrying case that’s also a charging case. What makes it better is that it can fully charge the headphone twice before it needs to be recharged. You’ll find the wireless headphone. The Bluetooth mini-USB adapter that only connects with the headphone is inside the box. You can also find the different charging accessories inside: the carrying case with built-in rechargeable battery, and charging dock. They’ve included extra earpiece silicone tips for easy replacement. I love that I can connect it to multiple devices at the same time. It can stay connected with two of my devices. This means that I can listen to music on one device while accepting calls on my phone. As its name implies, the MEE Audio X6 Plus stereo Bluetooth wireless sports in-ear headphones are the perfect wireless headphones for sports. With the wires gone, you have all the freedom of movement due to its perfect and lightweight design. 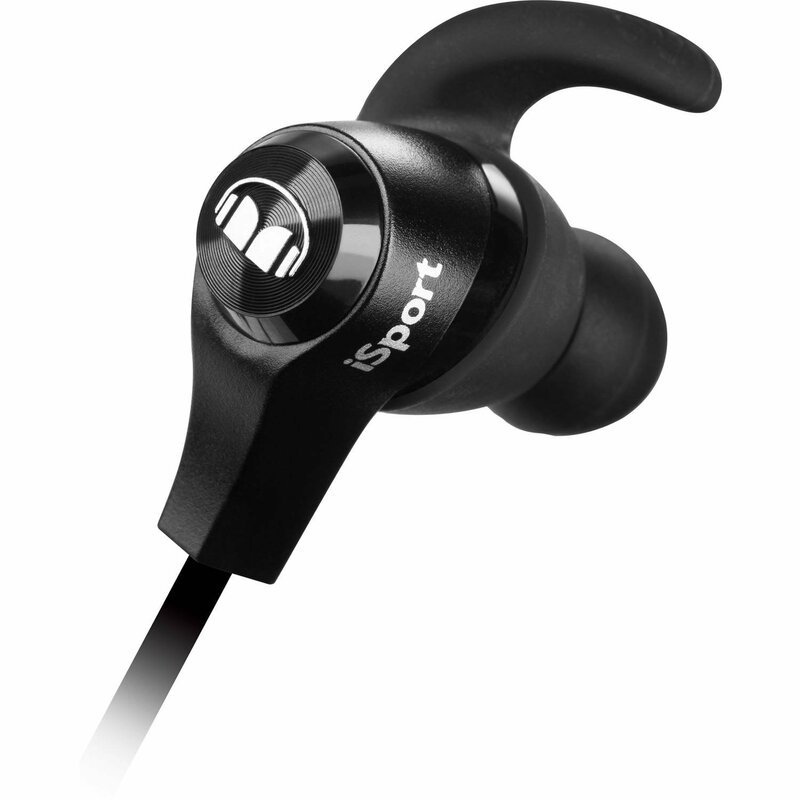 It's also sweat-resistant as they have made the headphone of the splash proof nano- coating. If you have an active lifestyle, this is the perfect wireless headphones for you. The wire ear hooks fit perfectly on any type or shape of the ears. 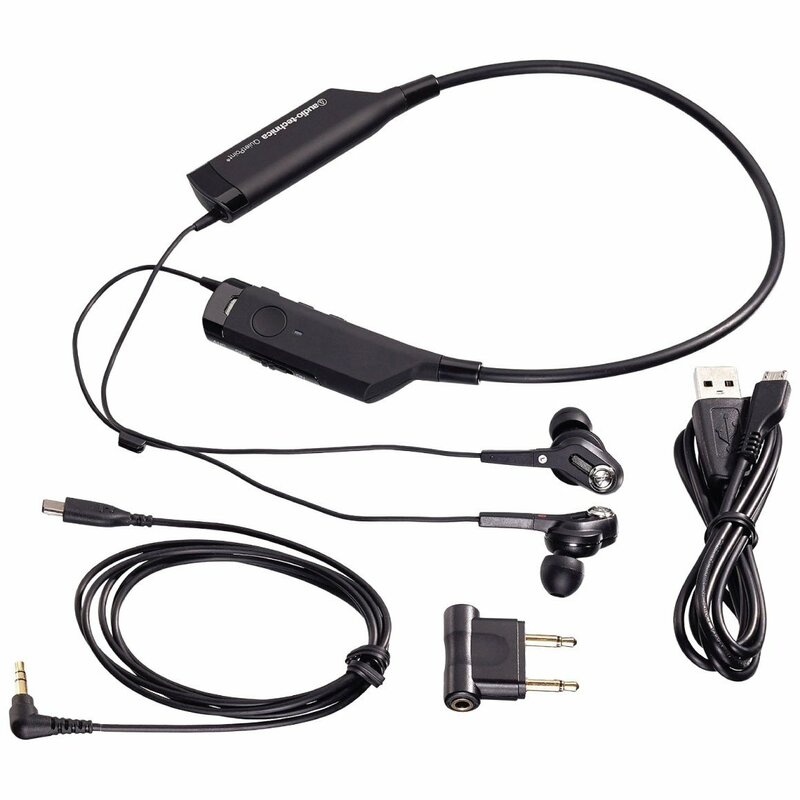 The earpiece is designed ergonomically, ensuring you a comfortable usage for hours. The in-ear design also cancels out the noise of the outside world. 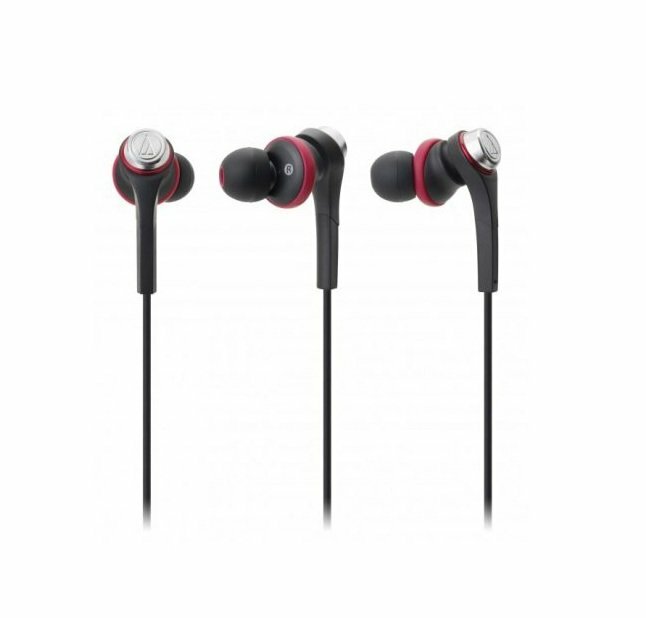 It’s also sweat-resistant as they have made the headphone of the splash proof nano- coating. The elements, moisture, and sweat are surely out of your way when using these wireless headphones. 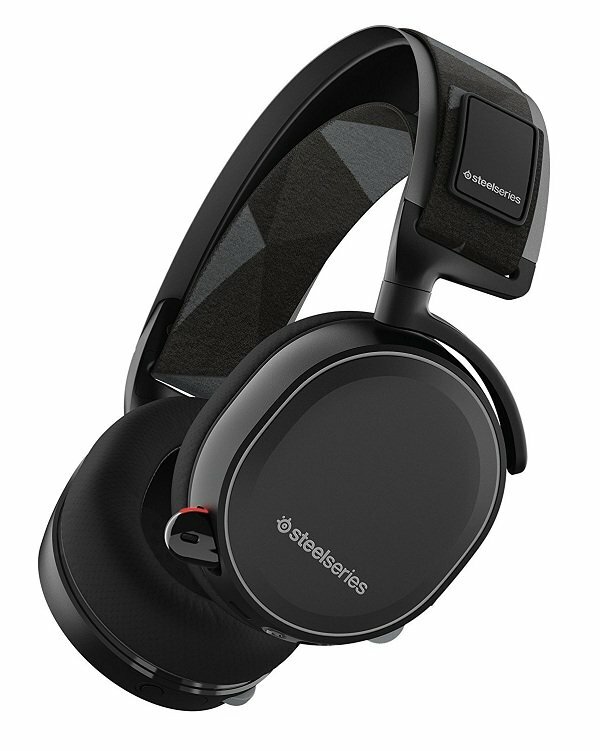 It also has a built-in microphone which allows you to make and take calls on these wireless headphones. There’s also the three-button remote control that lets you play/pause/stop the music, adjust volume, and attend to calls. The Bluetooth technology on these wireless headphones is the 4.0 version, which gives you excellent music. Its sound quality has a deep bass with high clarity. It can manage two different devices at the same. Plus, it has a real-time battery indicator for Apple devices. The company will give you a one year warranty for the product, and a 30- days return if in case you aren’t satisfied. The sound quality in these wireless headphones which people say is top notch for it provides a booming bass. You can easily hear the lows, mids, highs, and the full spectrum of frequencies make it more fantastic. 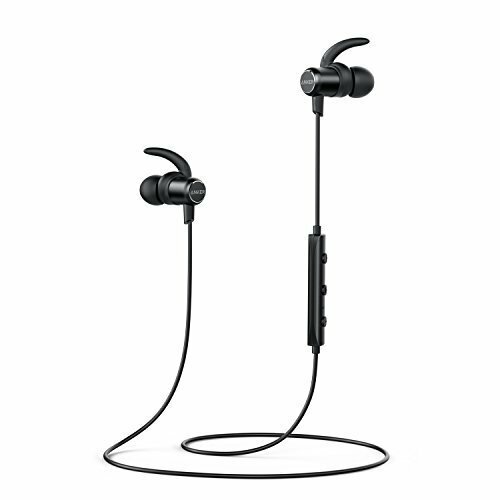 The type of battery they have used in the MEE audio X6 Plus stereo Bluetooth wireless sports in-ear headphones is a built-in rechargeable battery. The battery gives you four hours of music playback time, four and a half hours of talk time. The headphone can stay up to hundred eighty hours if on standby mode. You can fully charge the battery for at least ninety minutes, and the charging connector is a micro-USB. Inside the box, you can find the X6 Plus Stereo Bluetooth earphones together with four different sets of ear tips, a user manual, and a micro-USB charging cable. They’re cheap, but I don’t mean that in a bad way. These wireless headphones only cost less than $20, and most wireless headphones cost more than a hundred bucks. What I didn’t expect from these are their other features, like the noise isolation. They have good sound quality. The headphone isolates noise quite well when I use it. I can’t hear the background noises. And the sound quality isn’t off the top, but they aren’t bad as well. Most of all, they have other earbuds, which makes it easy for replacement. Do you dig for good music with utmost comfort while doing sports? 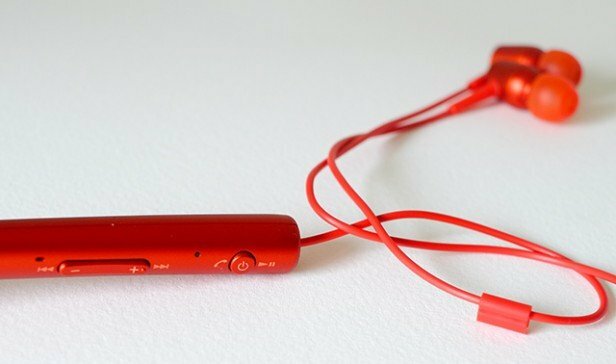 Want an earphone that doesn’t get your way while on the move? How about earphones that can survive sweat and water moisture? Well, The Yamaha sports model earphones EPH-WS01 got you covered. Feel the beat while jogging or hitting the gym with style. Yamaha assures you comfort even when you use EPH-WS01 for an extended period. The Yamaha EPH-WS01 delivers booming sound quality. Designed for sporty users, the Yamaha EPH-WS01 has anticipated sweat and water to be present while in use. It’s a very lightweight canal type earphone. Covered with a special film, these earphones can fend off any moisture be it sweat or water. You can confidently use these earphones with no sweat. The package includes a pair of ear cuffs. Ear cuffs help secure the earphones while you’re doing physical activities. Don’t worry if the default ear buds don’t fit. There are 4 different sizes of ear buds included in the package. These earphones come in blue and beige colors. Using the latest type of 8.mm driver unit fitted with extraordinary neodymium magnet, the Yamaha EPH-WS01 delivers booming sound quality. It has a high-precision, loose-edged diaphragm. This guarantees ideal movement of the diaphragm in accordance to volume playback. All of these details are carefully structured by Yamaha to provide sound quality with excellence. The frequency range is great, as well as the sensitivity of the audio. Yamaha has a Bluetooth adaptor included in the package when you want to use it with a Bluetooth connection. Plug the earphones to its adapter and pair it with the available Bluetooth devices. It’s equipped with an apt-X codec to maintain a great wireless sound quality. 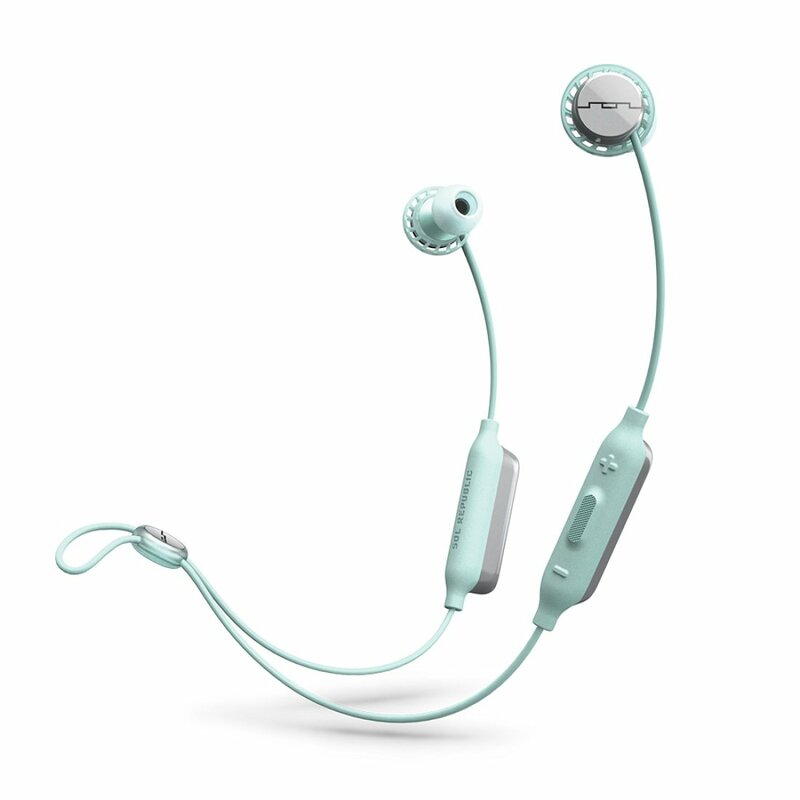 The multipoint technology allows this earphone to pair with two devices at the same time. This multi-pairing technology allows registering up to 8 Bluetooth devices. If you want to use it wired, connect the 3.5mm cable to the device, and you’re good to go! 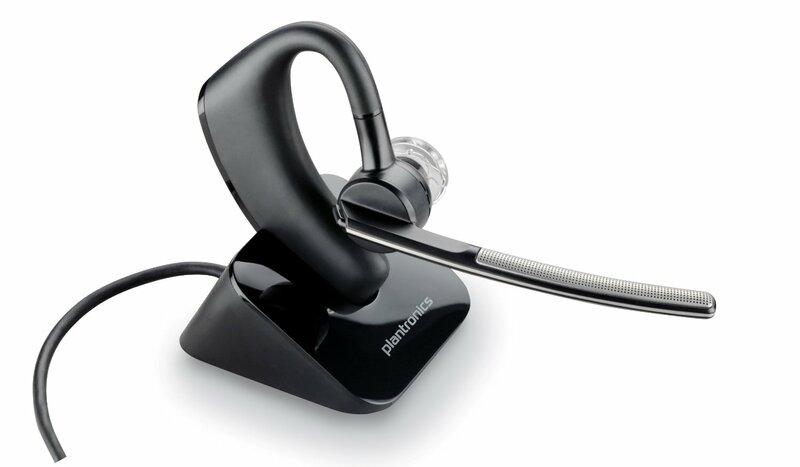 Conveniently pick up incoming calls with the integrated microphone. There are control buttons for easy management of volume and tracks. 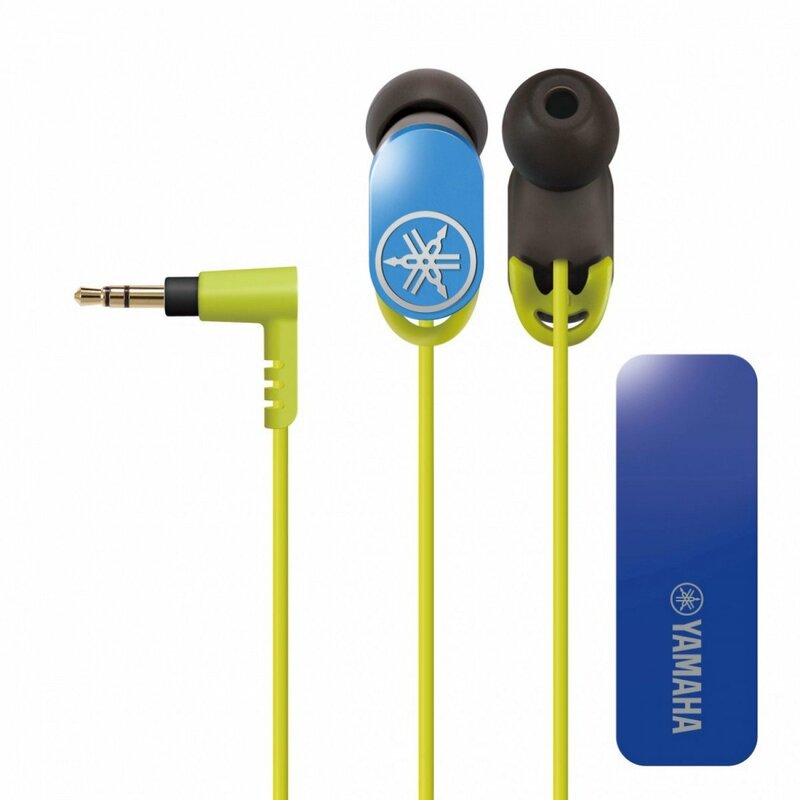 The Yamaha’s sports earphones have bright colors that I love. The ear cuffs securely fit the earphone on my ears. Its sound quality is great. Plus, it’s sweat and water resistant. SOL Republic’s Relays Sports Wireless is a feature-packed, exercise-focused wireless earbuds. They’re meant for the dynamic living music lovers. They’ve equipped Relays Sports Wireless with a FreeFlex technology which safeguards the fit of the earbuds. You can use the headphone without the hooks, and it securely fits even when you’re moving a lot. They armed it with remarkable features and an astounding audio performance guaranteed to suffice your music needs. The Relays Sports Wireless has an ultra-lightweight design with a FreeFlex technology for a comfortable fit. It’s also water and sweat resistant. Perfect for those with an active lifestyle. The Relays Sport Wireless has the impressive Sol Republic signature audio quality. It produces clear and crisp sound quality and a rich, deep bass response. You can either choose an indoor or an outdoor audio mode. This feature ensures that you can still hear the bass even when it’s noisy outside. It’s a fast charging headphone! A 10-minute recharge can already do an hour of playback. The Relays Sports Wireless is an in-ear designed earbud that completely isolates the unwanted noise especially when outdoors. You can choose from the four different ear tip sizes that perfectly fit their ears. With the help of the modern Bluetooth technology used on the Relays Sports Wireless, flawless music streaming is made possible. Just pair it with any Bluetooth-enabled devices (Apple or Android), then the user’s ready to go. Powered by a rechargeable Lithium-ion battery, the Relays Sports Wireless can operate until 8 hours. It has a quick-charge function. This headphone can charge for approximately 2 hours. It’s a fast charging headphone! A 10-minute recharge can already do an hour of playback. The Relays Sports Wireless has simple yet multi-functional controls for calls, skipping tracks, volume adjustments, and for Siri. Its built-in microphone is very convenient for calls. Running is part of my life. I’d never imagined life without running for even a couple of minutes a day. This headphone just fits with my lifestyle. Its rich bass on outdoor mode is excellent. Even when I move briskly, it’s secure to my ears. The design isn’t necessarily something that most companies of wireless headphones focus on when they see the bigger picture. We can’t blame them. It’s something that we tend to overlook at times. We don’t prioritize how a headphone looks, as long as it’s comfortable to wear and produces full sounding music. Due to this notion, I think, the Plantronics based the design of the Explorer 500. This wireless headphone can last up to a week without you charging it. The Explorer 500 is humble and simple looking, they didn’t make it flashy or meticulously with little details. If you want a wireless headphone that’ll turn heads with how it looks, then this isn’t the pair for you. They made the Explorer 500 with durable plastic. The shape is elongated, where the one side has a matte finish, and the other side with a rubbery feel to it. Its rubbery side has a rigid pattern on both of its ends. This pattern gives the headphone a grip. On top all of this, they’ve made this wireless headphone lightweight. It won’t feel heavy or bothersome on your ears. The headphone may look heavier that they seem, but they are as lightweight as an earring. The EXPLORER 500 though small, they’ve packed it with many features. For its size, you won’t believe that it supports HD voice. You wouldn’t expect it to have a noise- canceling feature, but it does. Also, it has DSP (Digital Signal Processing) for a seamless music streaming. Also, it has dual microphones, making the other end of your call hear you better. These entire features, it makes the wireless headphone good for making calls. Unless you’re planning to become a phone operator and accept calls all day, then you’d be a smidgen over the longevity of the Explorer 500’s battery life. One single charge can give you 7 hours of talk time. When you use this for voice calls only, then this wireless headphone can last up to a week without you charging it. And it gets fully charged after two hours. You can stay connected with your phone up to 20 feet using this wireless headphone. You can easily establish a connection because it has a Bluetooth version of 4.1. Though the headphone lacks some aspects, like the NFC connectivity and other amplifications, you can still enjoy the wireless connectivity with this headphone. The design is simple, which it makes appealing for me to use in meetings or at work. Unlike those techy looking wireless headphones, I won’t feel out of place using this headphone when I’m in the corporate world. Plus, they have so much in them even if they’re pretty small. The MDR-XB50BS is Sony’s new Wireless in-ear headphone. This Extra Bass Sports Wireless headphone is worth purchasing for a few reasons: Not only is it affordable and fits comfortably on the ears, but its design is classy, and bass quality is tight. So if you like heavy bass music, then the MDR-XB50BS is your perfect choice. It actively minimizes ambient noise entirely, so you‘ll hear clear audio even you’re in the crowded places or at the gym. The headphone isn’t the smallest in-ear wireless of Sony, with a size around the Beats Powerbeats3 Wireless (its counterpart headset which is more expensive). However, the MDR-XB50BS is impartially lightweight and has better ear hooks than of the Powerbeats3. Aside from that, its ear hooks are useful especially when you’re actively running or doing workouts. To compare with its counterpart, the Powerbeat3m, Sony made the MDR-XB50BS with a few different ear tips and fin sizes. It has a nice tight seal with the large size of both, and that tie was what was needed to get the most out of the bass performance. The headphone has a noise-isolating feature. It actively minimizes ambient noise entirely, so you‘ll hear clear audio even you’re in the crowded places or at the gym. Speaking of going to the gym with this headphone, the headphone got a cozy fit. It clamps on your ears tightly while lifting weights or running on the treadmill. Also, the fins are designed to fit different ears. Rest assured that you’ll have your size. Go now, and find the pair that fits you. This Sport and Action headphone also offers a balanced audio. The tight bass and tremble let you hear clear and modulated sound. So rock your playlist as you go extreme with its bass and treble quality that’ll boost your spirit. The MDR-XB50BS has a battery life that lasts up to 8.5 hours. This headphone is water-resistant and is one of the sturdiest headphones on the market today. Great sound, stress-free setup, and connects swiftly. The ear hooks clamp well, too! If you’re living a very active lifestyle, I believe you need some music to push you more. Optoma’s NuForce BE6i is an innovative updated version of the award-winning BE6. Packed with all the great features from its predecessor and improved the battery life, this just got to be the perfect in-ear Bluetooth headphone. 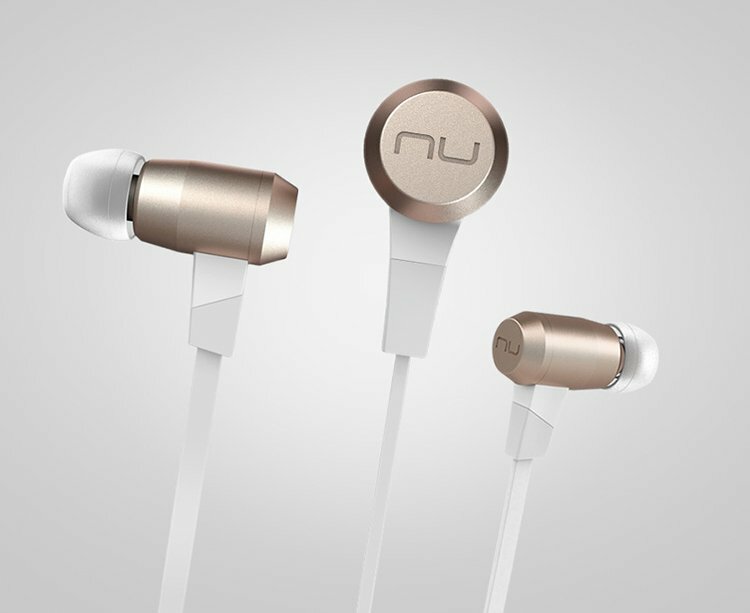 The NuForce BE6i is lightweight wireless headphones housed with aluminum material. This headphone produces a smooth sound with its aptX (CD-quality audio) and AAC (best audio for Apple users) codecs. Its aluminum design with IPX5 certification makes the headphone look elegant, and guarantees durability. Choose between gray and gold colors. 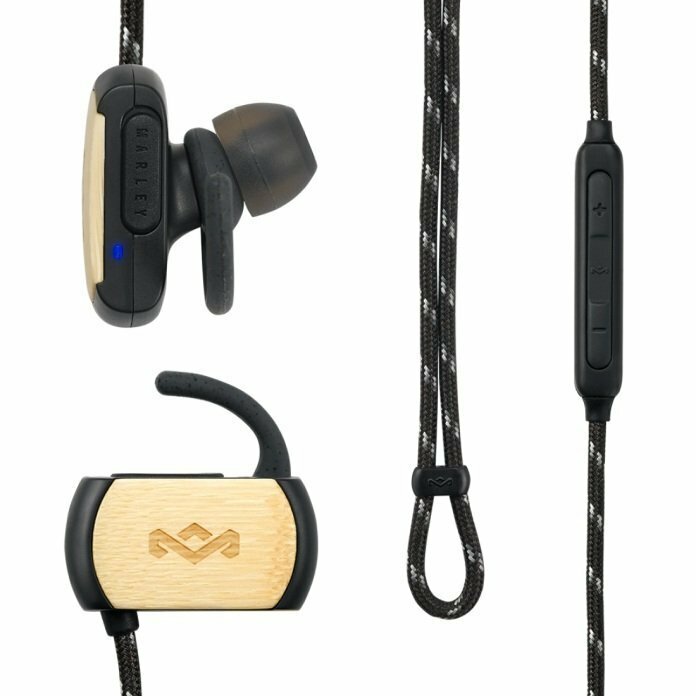 They have connected the bullet style ear buds with a cable that sits comfortably behind your neck. It’s a tangle-free flat cable. There lies the in-line remote to adjust volume and tracks, activate Bluetooth and engage with Google Now or Siri. Packed with the IPX5 rating, this wireless headphone can survive if you’re involved in any form of productive activity. The IPX5 makes sure to protect the headphone from water, sweat, and dust. Tune into your favorite songs up to 33 meters (that’s 98 foot) away from the audio source with the BE6i’s modern Bluetooth technology. This headphone produces a smooth sound with its aptX (CD-quality audio) and AAC (best audio for Apple users) codecs. It’s compatible with Android, iPhone and Windows devices. You can connect it to two devices at the same time. They have housed the NuForce BE6i with an unconventional 10mm driver which offers amazing sound quality minus the annoying echo. A reliable audio quality is all you’ll ever hear. For some cases, the default ear tips don’t suit the user’s ears. However, Optoma is ready for such instances. In the package, they included five sets of silicone ear tips. There are three tips which are shorter than average ones to snug comfortably on your ears during long sessions. The rest of the ear tips are longer for sufficient noise isolation and provide a secure fit for workout sessions. Aside from the silicone tips, there are two sets of Comply soft foam ear tips. They’re heat-activated ear tips that expand fit perfectly to the ears. It’ll sit effortlessly on your ears and isolates background clatters successfully. They also included a retainer clip and a pair of ear hooks in the package. BE6i’s predecessor can only last up to 5 hours, but this headphone can last for a straight 8 hours. After 3 minutes of inactivity, the headphone will automatically turn off. I owned the BE6 before and loved it, and here comes BE6i with longer battery life. I’m much stoked! All the finest features from the old version plus 8 hours, the elegant design, the additional ear tips and others! 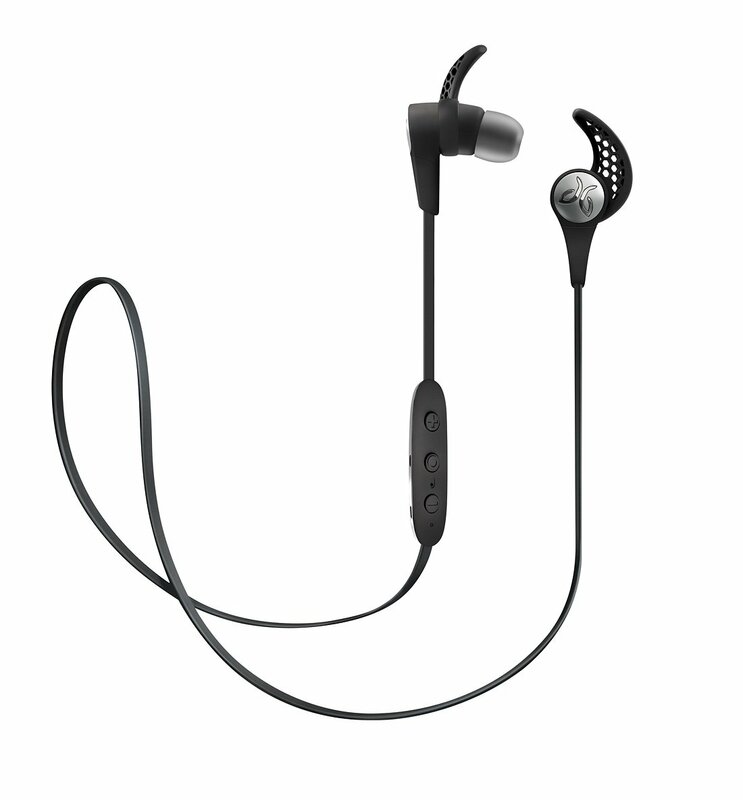 The Jaybird X3 in-ear wireless sports headphone is designed to enhance its predecessor, the Jaybird X2. 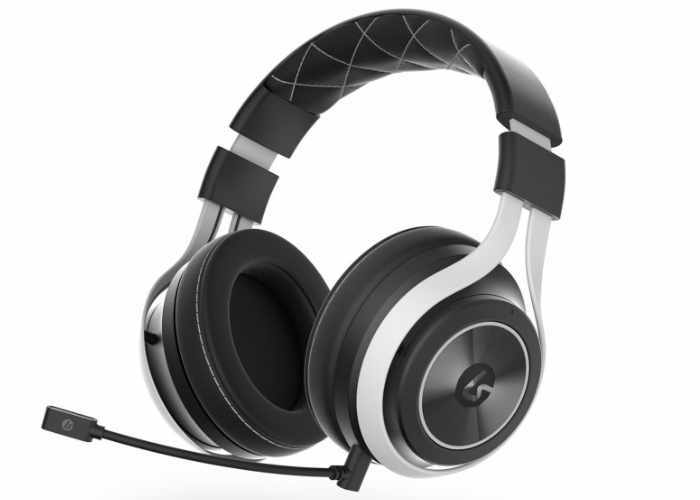 This headphone offers much developed audio quality, modern design, and smooth foam tips. 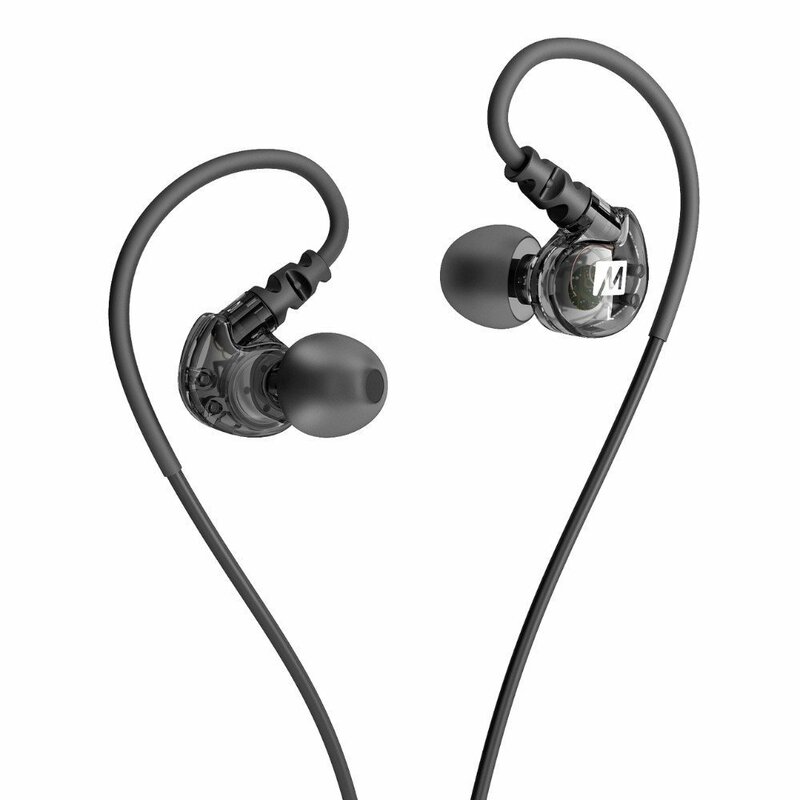 These attractive features make the X3 in-ear headphones the best among their class. The X3s got a new look, and the results are great. These headphone materials are way better than the X2 especially the black and silver colors that got ample of positive reviews. The headphone has new wings and ear tips this time. Its earbuds are slimmer and perfectly angled. The slimmer casing helps shoot audio straight down into the ear. The X3 is very easy to use, and its style is a sure winner. The headphone undergoes a “signature” sound profile testing in a default setting. We know how important defaults are. This headphone offers much developed audio quality, modern design, and smooth foam tips. Lows: They’re good with regards to clarity and average usage. It’s good in doing outdoor activities such as walking and running. The headphone offers an extra push to keep you going. Mids: The middle register is a lot better when it comes to balancing compared to the X2s. Vocals are balanced and made soothing to the ears on longer hours of listening. The balance is particularly noticeable in the genre like RnB, hip-hop, and Jazz. Its audio is realistic and profound so that you won’t hear a single note out of tune. Highs: They’re the highlight of the X3. The headphone offers a sound that isn’t painful to ears even on high volume levels. Genres like Rock, heavy metal and disco are strong in bass quality, but with X3’s new technology, it doesn’t sound uncomfortable. The X3s got a new improved Bluetooth 4.1, which can connect to two same sources at the same time. This headphone has a redesigned Bluetooth antenna that ensures skip-free music outdoors. You can enjoy your favorite music without interruption. The X3 has 8 hours power capacity which is parallel of the X2. Its battery technology is now enhanced to suffice the need of a non-stop listening enjoyment. The 8 hours power capacity is a playback on high volume which is amazing. The headphone is very comfortable to use. I like the design, and it’s unique. I enjoyed its 8-hour battery life which is superb. As more people hit the gym or run on the streets, sweat-resistant headphones are becoming a trend these days. One sweat-resistant headphone that stands out in the market today is Anker’s SoundBuds Slim Wireless Headphones. It’s a comfortable and lightweight headphone that produces great sound with an affordable price. The Anker SoundBuds Slim Wireless Headphone is made for the music lover with an active lifestyle. That’s why it has a slim line design and a non-heavy weight. This in-ear wireless headphone got a lightweight 55 cm cable that connects the two earbuds. To adjust the length of the said cable, use the FitClip feature. There’s also a ShirtClip where you can clip it to your shirt to keep it secure from falling. It has a nano coating with an IPX4 protection rating which means it’s resistant from the sweat you produce while working out as well as splashes of water. It’s a comfortable and lightweight headphone that produces great sound with an affordable price. It comes with a default SoundBuds or ear tips. But if you’re not comfortable with the fit, there are extra ear tips with different sizes. They come in XS/S/M/L sizes. It comes with ear fins so they can securely fit on your ears while you’re on the move. There are also other ear fins in the package with S/M/L sizes. Through Bluetooth 4.1 connection, rest assured that your wireless streaming is flawless and smooth. The connection range is up to 33 feet. Its wireless audio performance is excellent. With 6mm drivers, the sound quality is as good as the expensive in-ear headphones in the market. The buds feature a magnet where they can attach while you’re not using them. It also has an available in-line remote with three buttons (2 buttons for volume and one play/pause button). A micro USB charging port is also featured. Along with the buttons is a built-in microphone where you can freely talk to your friend or family without touching your phone. The Anker SoundBuds Slim wireless headphone may be slim, but the battery life isn’t. Featuring a rechargeable battery, this wireless headphone gives you total music control and experience for up to 7 hours or more. The battery life may depend on your usage. Recharge it using a USB port in a computer or laptop, but it’s not advisable to use portable chargers because of the output current. I love how I can run and listen to music without worries with the Anker Soundbuds Slim. It’s so comfortable and the audio production is awesome.